So every Wednesday morning I meet with my art club for about an hour before school. 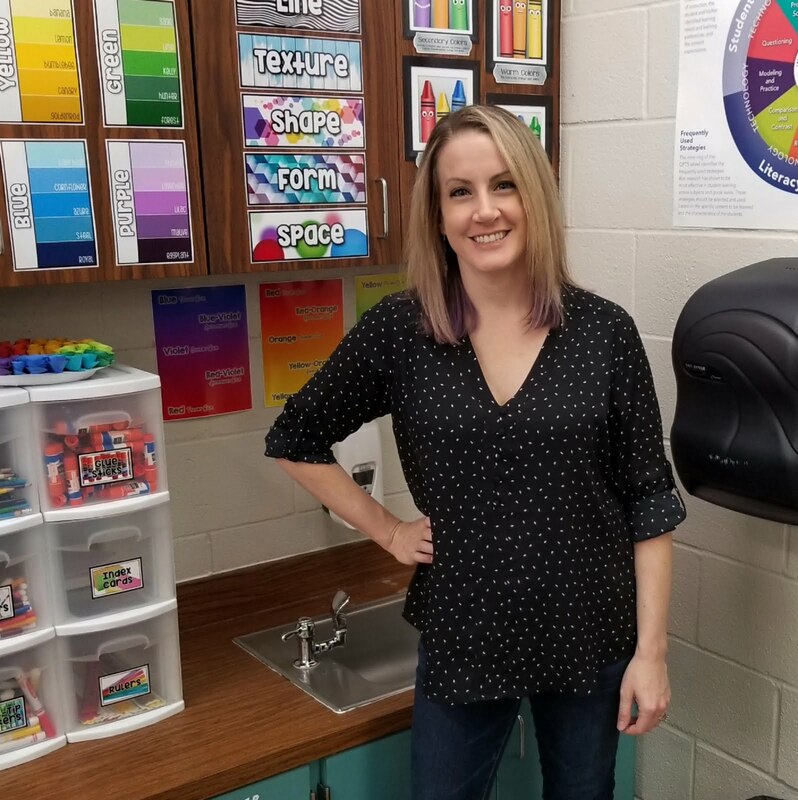 My art club is made up of around 20 (the list has 21.. but only 14 or so regularly show up) 4th and 5th graders who were the first ones to turn in a permission slip to me. For our first real project I wanted to create something in which I could give the kids an opportunity to explore my art room and all the materials I have available to them.. so that's exactly what I did. I came up with the idea for our art club puzzle from a post on Pinterest (oh the greatest thing!) but modified it slightly to match our needs. 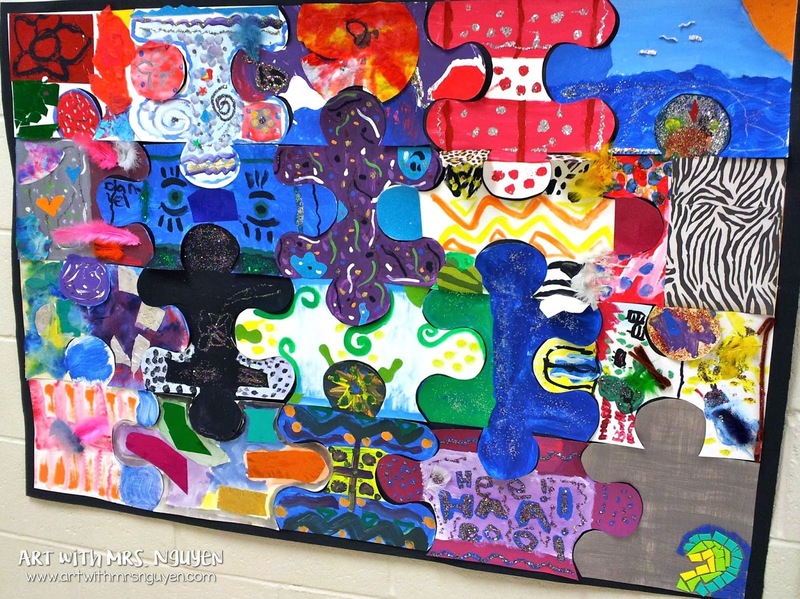 Students were each given a puzzle piece and told to decorate it however they'd like - it just had to express themselves. So I took out a ton of materials.. and they went at it with very little direction from me. Our school participates in Chick-Fila's character words program.. and the character word for October was "individuality" and the word for November was "cooperation".. so I felt this project would be incredibly fitting for the themes.. which is why I hung this up next to the counselors office character words bulletin board. What a cool idea! I bet the kids loved having the freedom to explore art materials. 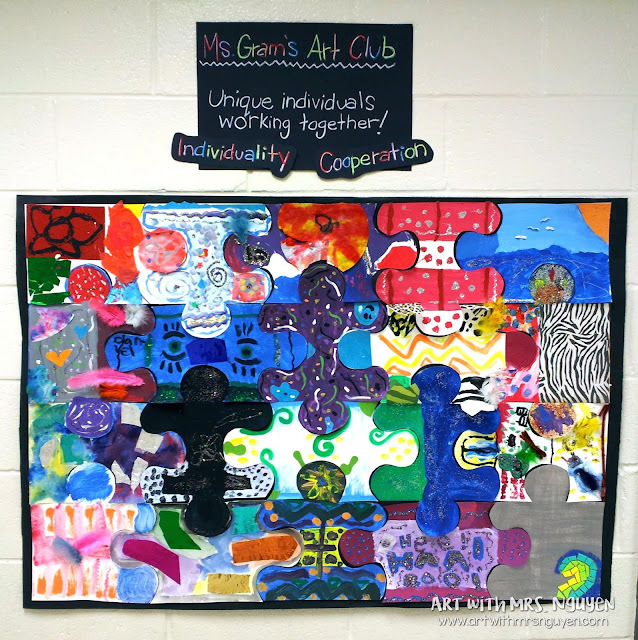 Good idea to hang it next to the counselor's office and tie in the idea of the character program. Inspiring! Awesome idea! We're about to start diversity month at my school! Where did you find the puzzle pieces? Hey thanks! I googled something like 'blank puzzle pieces' then placed the image in a powerpoint and projected it onto my board. Then I used a pencil and traced the projected shapes onto poster board and cut them out.